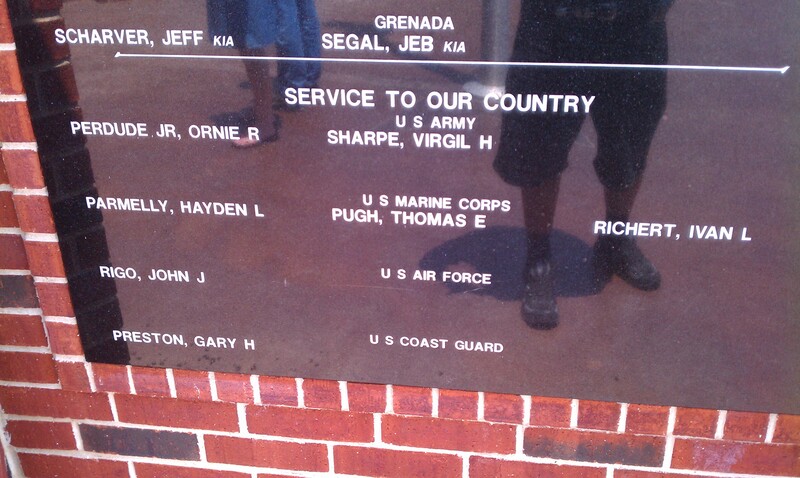 « "Hugs" copyright 2009 John J. Rigo (Revised) upcoming book "Passion Amidst Apathy"
A Veteran’s Memorial in Mabank Texas (In the Cedar Creek Lake area) noting my military service. This blog posting is an opportunity to honor both fallen soldiers and living veterans across our nation. Only us former veterans who served can understand the bond we share, in the Love and Honor that we render to our country. This blog posting is to honor those veterans who have served our country this Veterans Day of November 11th, 2014. John J. Rigo Served honorably from 1959 to 1963 in the U.S. Air Force in both SAC and the NATO Commands. My fellow veterans, families who have lost loved ones in service for their country, and those of you who Love America this honored day, feel free to post your “Like” link to show your support for our veterans.